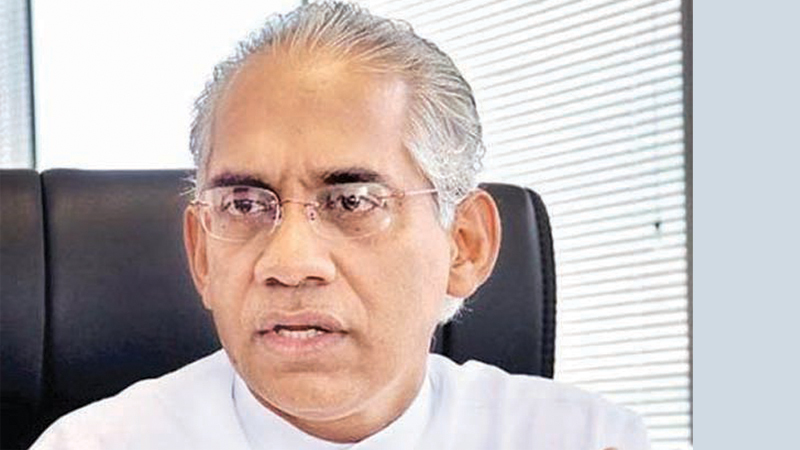 All State Owned Enterprises (SOEs) need independent governance and ‘fit and proper’ persons in them, Finance State Minister Eran Wickramaratne said. The State Minister, advocating for a new “Public Enterprises Law,” said that political meddling in the management of SOEs must be stopped. Wickramarante made this comment in response to a question by a journalist at a press conference at the Finance Ministry premises yesterday. The press was organised to brief the policy recommendations of the 10-member President’s Expert Committee on restructuring SriLankan Airlines. The Committee headed by Wickramaratne handed over the report to President Maithripala Sirisena early this week. The journalist questioned Wickramaratne of his view on the recent newspaper reports on the salaries of SriLankan Airlines officials. The State Minister, reminding that SriLankan Airlines is an international product, said that engineers and pilots will have to be paid market salaries as otherwise they will move to another airline. “In terms of the salaries, I don’t necessarily agree with the headline which said this number of persons were getting over one million rupees. I think that kind of headline is a little sensational,” he commented. Replying to the question in a broader perspective, Wickramaratne highlighted the importance of a new Public Enterprises Law, under which the Government can decide to keep the ownership, but not the management. “The management must be independent and professional. This is not limited to SriLankan Airlines. What is happening today is that we (the ministers) make appointments to various institutions gazzetted under our ministries, and some of those persons are not fit and proper. Going further we also appoint relatives. What kind of nonsense is this? We should not have conflict of interests to start with. We may have capable relatives, and I am not saying that they should not be given appointments, but they should never be under our own ministry,” Wickramaratne stressed strongly criticizing the contemporary practice of politicians. The State Minister proposed that the current system followed by the Central Bank in scanning the nominees to the Director and CEO posts in state and private banks must be applied to all public institutions, particularly to institutions which are of commercial value. “Politicians can nominate, but there must be a process like in the Central Bank to say whether that person is fit and proper and to reject the nomination if he is not,” he added. The President’s Expert Committee on restructuring SriLankan Airlines recommended “debt restructuring and internal capital generation” after evaluating three options, Finance State Minister Eran Wickramaratne said. The state minister, briefing on the policy recommendations mentioned in the report, said adopting a sustainable business model has been suggested for SriLankan Airlines. The Committee headed by Wickramaratne handed over the report to President Maithripala Sirisena early this week. He said the Committee’s recommendation was to maintain 51 percent of “SriLankan ownership”, but not necessarily “the Government ownership”. “The Government can join with a local private sector partner to have the ownership of 51 percent of shares, and find a “strategic partner” to manage the rest,” he explained. “The flag-carrier is stuck with aging fleet issues and that means the maintenance cost is higher than the industry. It is also stuck with most expensive air-craft fuel in the region after the Maldives. It has been partially successful in re-negotiating the lease agreements and it has made human resource plan to have fair savings,” he remarked. Establishing an independent board and management, instituting a strong legal framework, developing an effective strategic plan, revising the operating business model, human resource restructuring, ensuring an independent procurement process and exploiting synergies in brand promotions were other recommendations of the committee. “If the President decides to adopt the report as the government policy, then he can put it forth for Cabinet approval as the Sri Lankan Airlines comes under the purview of the President now. Then the restructuring of Sri Lankan Airlines can be done based on the recommendations of the report,” he said. Committee member Thisuri Wanniarachchi said the President said that he would within a week assign a minister to implement the recommendations of the report.